How do I properly describe my experience playing Hafid’s Grand Bazaar? The first round was a cautiously feeling out round, as people got their head around things. Then starting in the second round it was more of a “hold onto your genie lamp, it’s on!” kinda game. It went zero-to-cutthroat in one round. One of my players said, “this might be one of those play it twice to get it games.” while we went through the rules. Nope, round two. 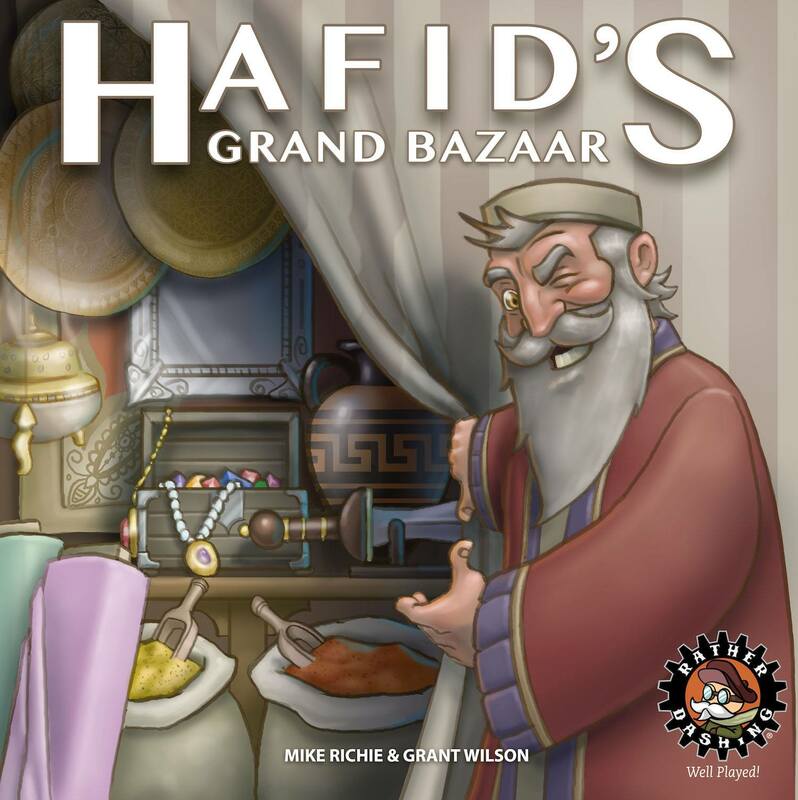 So, Hafid’s Grand Bazaar, from Rather Dashing Games, is a wonderful game of commerce, set in an ancient Arabian marketplace. Players bid on actions that allow them to collect, trade, and sell various sets of Merchant Cards. The game ends after each person has had the opportunity to be the first player, so it forces players to adjust and adapt and shift their strategies constantly throughout the course of play. The six-sided board has four sets of elements to it. The outer most edges have six Foreign Markets, these represent places like Greece, Babylonia, and Egypt where trading caravans will travel to bring goods back to the back the bazaar. Each market gets two facedown Merchant Cards in front of them each round. The middle of the board has six Caravan spots, numbered 1-6. The biggest visual misconception new players have is that the Caravan spaces correspond to the Foreign Market they are directly above, but they don’t. The Caravan numbers determine the order a player gets to select from the Markets, not which Market they are selecting. The winning bid on the first Caravan can choose to collect the cards from any of the six Markets, the second Caravan selects from any of the remaining five, and so on. If you lose the bid for a caravan you still receive a Market Card from the deck, so it’s rarely a complete loss. Between the Foreign Markets, there are two other bidding options. There are three Influence spots, the Informant (The winning bid may look at some the face down market cards), the Negotiator (who allows anyone bidding here to initiate trades with other players), and the Free Trader (that allows players to draw extra cards when Caravans are claimed). The remaining three spot are Customers; everyone who bids on the Haggler, the Guild Master, and/or the Collector, has the opportunity to sell that Customer specific sets of Merchant Cards in exchange for points*. Once everyone has used up their six bidding cubes, the game moves onto the Caravan Phase where players get to select their Market Cards and use the Informant and Free Trader abilities if they bid on them. The third phase is the Trading Phase. Only players who placed a bidding cube on the Negotiator during the Bidding Phase can initiate the trading process, but aside from that, almost anything goes. Players on the Negotiator can trade with each other, with players who did not bid on that space, they can even broker trades between players who otherwise couldn’t trade. You can negotiate for Market Cards, Talents, even access to Customers. Even with the small amount of intentionally designed chaos in this phase, it still falls into same the trap that most games with trading do. If you aren’t part of the trading, the game sort of grinds to a halt for you until everyone else is done. That’s not specifically “bad” and sometimes watching the process is as entertaining as being directly involved, it’s just a notable slow point. The final phase is the Selling Phase. Everyone who bid on a customer (or traded for access to one) can sell the sets of their Merchant Cards that are appropriate to that Customer. At the end of the Selling Phase you can’t have more than 10 cards remaining in your hand, so you may need to either discard or “Ply Your Wares” selling off no less than five cards for the very low price of 1 Talent per card, regardless of its actual point value. After that, the first player token moves to the next player, the Foreign Markets are restocked with new cards, and a new Bidding Phase starts. The game ends after each player has been the first player once, with the richest player winning. There was an interesting discussion in one of the groups I played with about whether the artistic caricatures associated with the Foreign Markets were appropriate or necessary, but at the end of the day, 5/6 represent dead ancient cultures and the last would still be largely period appropriate. So it isn’t really something most people should worry about. Most of the components are a very good quality and should stand up well to a lot of play, but I do have some reservations about the board. After only a few games it is already showing some wear and tear. I can’t say for certain if every board would do this, but mine didn’t unfold completely flat, but since there aren’t any sustained pieces of the board that didn’t affect play at all. As well, the one folding crease on the play side has already started to crack the through the art. There are also a few points along the unsealed edges that look like the cardboard is starting to separate a little. Really those are all just little cosmetic things, and I may just have gotten a bad board, but given I’ve only played a few games they are surprising flaws. 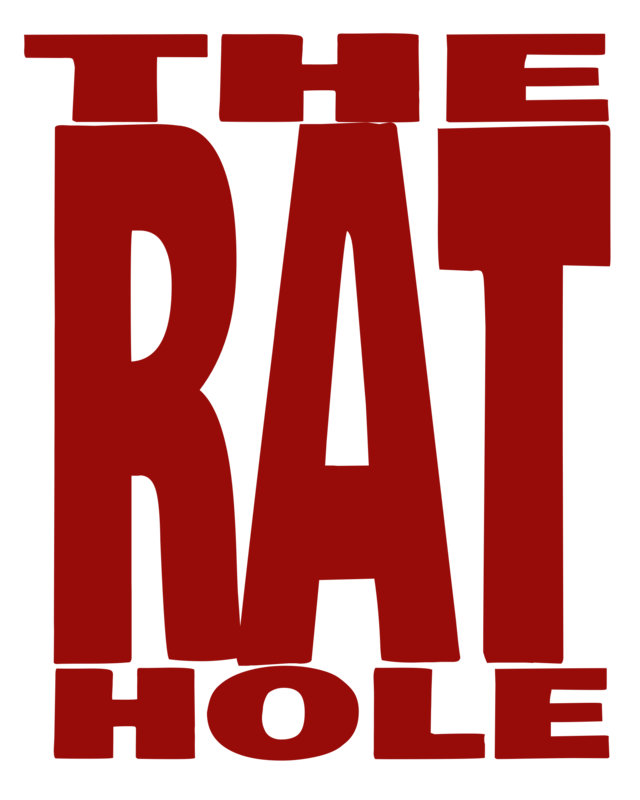 Overall this is a great game. Once you understand the process and your bidding options, the game moves fairly quickly, and if you wanted to speed up the Trading Phase you could simply enforce a time limit on it. One player took advantage of not trading to lookup where she could purchase her own copy of the game, so sometimes a slow moment is worth it.